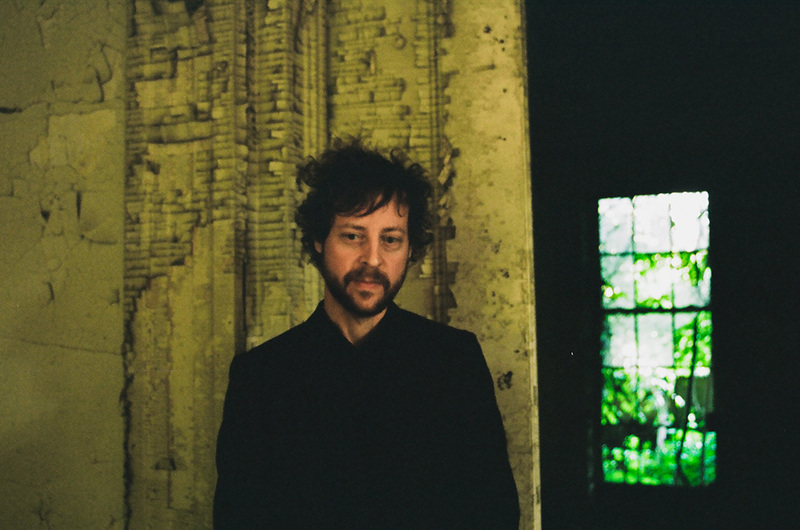 Darren Jessee is Hotel Lights, a project he's pursued for over a decade when not preoccupied by his duties as the drummer of Ben Folds Five. 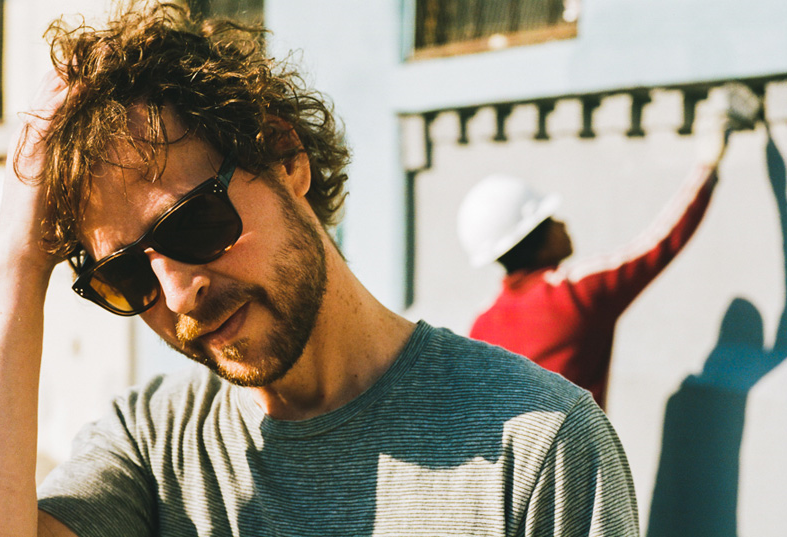 A North Carolina native who now lives in Brooklyn, Jessee has teamed with musician/producer Alan Weatherhead and an impressive list of session musicians to create four sterling albums renowned for their elegance, understated hooks, and refined arrangements. 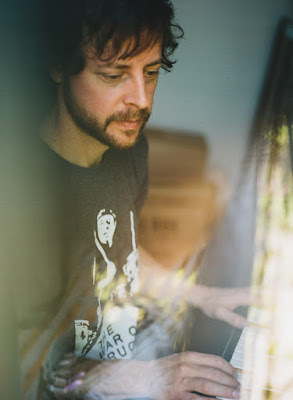 Get Your Hand In My Hand, released in March, 2016, "continues Jessee’s tradition of writing subdued, melancholy guitar pop," wrote PopMatters.com. Kevin Matthews of PowerOfPop.com hailed the album as "perfectly constructed pop-rock tunes drawn from the classic 60's/70's songbook, a fitting tribute to halcyon days, where sophisticated pop ruled the airwaves and the charts." "What he achieves on the album is a wonderfully crafted record with captivating songwriting and delivery," raved the Canadian website The Revue.ca. "It’s witty, dramatic, intimate, and emotional, at times it’s sad, but there is a warmth to it provided by Jessee’s voice and the alluring quality of the instrumentation on this record." Q: There was a five year gap between Get Your Hand and its predecessor, and of course there was a Ben Folds Five reunion and world tour in there. Is Hotel Lights something you can put aside for a period of time, or are you always writing and demo'ing? Can you write on the road or do you need a period of quiet study? Does the fact that the album came together over a protracted period of time explain how the songs seem to segue through a number of different styles and genres? Darren Jessee: Yes. There was a Ben Folds Five reunion album and tour, and after that I traveled the world as part of Sharon Van Etten's band. I'm currently touring with Hiss Golden Messenger. I don't write a lot while I'm on the road beyond gathering a few ideas here and there. It takes a routine for me most of the time. But when I'm home, I am often writing. I have new songs written for what will be the first Darren Jessee album. Q: The tone of Get Your Hand In My Hand is also quite a bit different than the album before it, less joke and much more pensive and introspective. Was that a result of personal changes in your life (there are some great break up songs on this album) or is just the way your muse spoke to you? Darren: If you listen to the tone of the first two Hotel lights albums, they could also be considered as you described, more introspective and pensive. The album you're referring to --Girl Graffiti, was a conscience decision on our third album to keep it looser and try different moods. 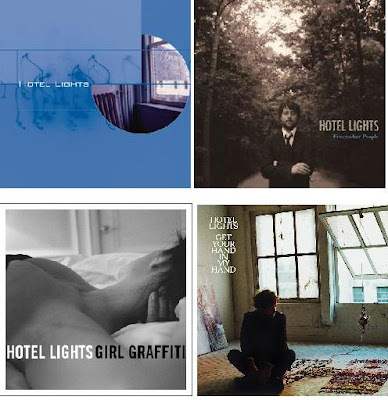 I've gone back to my emotional landscape roots on the new album, and it's my favorite Hotel Lights album experience. Q: I noticed in most of the reviews of Get Your Hand that many critics didn't seem to recognize "Lens Flare" as a bossa nova. How do you feel about the state of criticism today. the way your work is received, and the prevalence of DIY blogs over the magazines and newspapers of a generation ago? Darren: I'm grateful for anyone who wants to write about my albums. There are so many hyperbolic statements in music criticism today, you really must listen for yourself to know what anything is. The idea that a music critic knows a bossa beat or even how to play chords on the piano is asking a lot. Almost every review of Hotel Lights starts by by citing that I was in Ben Folds Five and co-wrote Brick. The artfulness of Hotel Lights is often overshadowed by the discussion of defining me and then comparing it all to my past. Q: A lot of rock music starts with a hook or a catchy, repeating chorus; you eschew those tools. When you start writing a song, what's foremost in your mind? Are you writing to a listener, or to yourself? Darren: I'm writing for myself and trusting my intuition about it. But I do like to imagine how one of my friends will feel when they hear a new idea. That comes later when I'm mixing. I aspire to go with the flow of being creative when I'm writing. The hooks are subtle, yet they grow on you in the best way. Q: There is a lot of the new album that reminds me of Big Star or Game Theory, bands that never had "hits" but which endure because to certain fans, those bands are the most important thing in their life. You said that you aren't that active in social media, but I'm wondering if you manage to maintain a sense of community with your fans? Darren: I feel like Big Star endures because of the quality of those albums. When I'm on tour as a freelance drummer, I meet fans every day who don't know about my records. Which is also a problem Big Star ran into. I'm hesitant to compare us beyond that. I feel better when I'm limiting my time on social media. A little mystery completes a person. I was once pretty famous for a musician from NC, on MTV every hour. I didn't completely enjoy that part of it. I don't feel myself leaning into the idea of cultivating an image or seeking constant affirmation. I simply love being an artist and making meaningful music. I like keeping my mind in that space. Vinicius Cantuária came to Bar/None as an established star in his native Brazil, a leading figure in the worlds of bossa nova and jazz. Leader of the rock band O Terco, he released six albums in Brazil in the 80's and with his album Sol na Cara (Grammavision), was a pioneer of the neo-Brazilian music in 1996.The multi-talented singer, composer, guitarist, and percussionist came to New York in the mid-90's and immersed himself in the city's avant-garde underground, collaborating with artists like Arto Lindsay, David Byrne, Brian Eno, and Laurie Anderson. 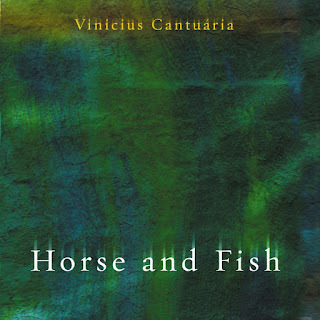 In 2004, he teamed with Bar/None for Horse And Fish, his 11th studio album. 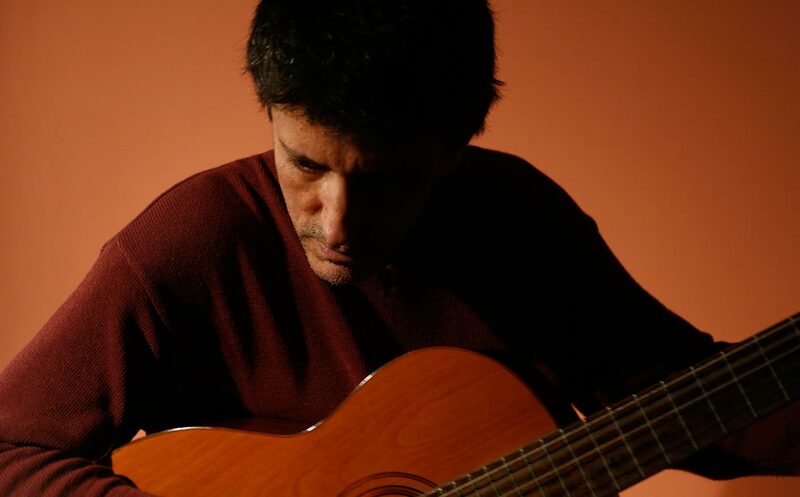 "Since the earliest days of bossa nova in the 1950's, Brazilian singers and musicians have competed with each other to be the most understated, subtle practitioners of the form," wrote Chris Moss for the BBC. 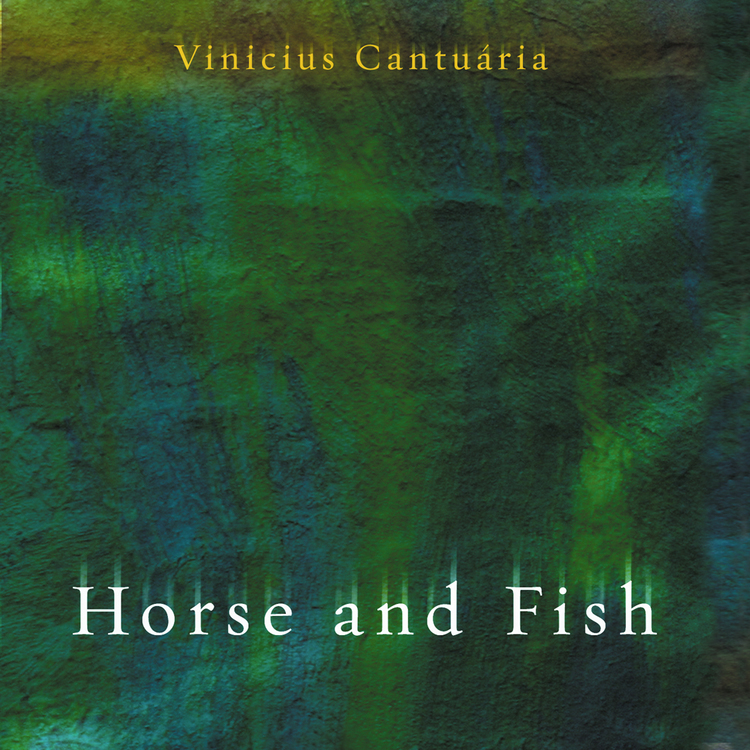 "Vinicius Cantuária is arguably the current master of the subliminally sensual." JazzTimes opined, "Even as Cantuária aims toward modernism, he interprets canonical Brazilian themes like 'O Barquinho' and Jobim's 'Ligia,' his voice taking on a strikingly intimate, vulnerable quality on the latter." These days, Vinicius owns a studio in New York City and still travels frequently to Brazil, where he continues to create and produce. 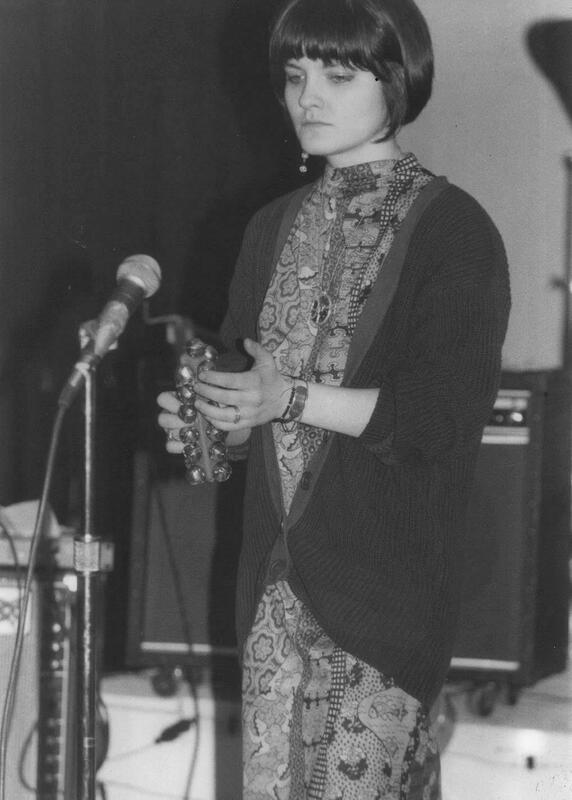 Q: You came to America with an international reputation in jazz and bossa nova, but when you came to New York, you worked with many artists in the avant-rock world like Arto Lindsay, Laurie Anderson, and David Byrne. How did these collaborations change the course of your career, and what influence from these people have you brought into your current work? Q: Many Americans (including myself) were introduced to bossa nova by Frank Sinatra's collaborations with Jobim. How do you think Jobim's legacy and artistry has survived 40 years later? Is he still influencing the music in Brazil and elsewhere? Q: What would you tell the American listener who is not familiar with bossa nova to get them to give it a try? What about this music is universal and timeless and appeals to so many different tastes? Vinicius: I think everyone has heard one way or another a song by Jobim, so in that way everyone has heard Bossa Nova, but for someone starting out I would recommend listening to the classic album with Stan Getz playing the classic "The Girl from Ipanema" From there you can discover many other recordings with the interplanetary music of Jobim and other bossa nova artists. 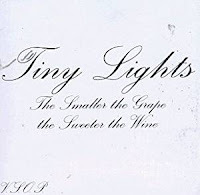 Tiny Lights straddled both the New Brunswick and Hoboken pop scenes when they formed in 1985, the brainchild of singer/guitarist John Hamilton and singer/violinist Donna Croughn. 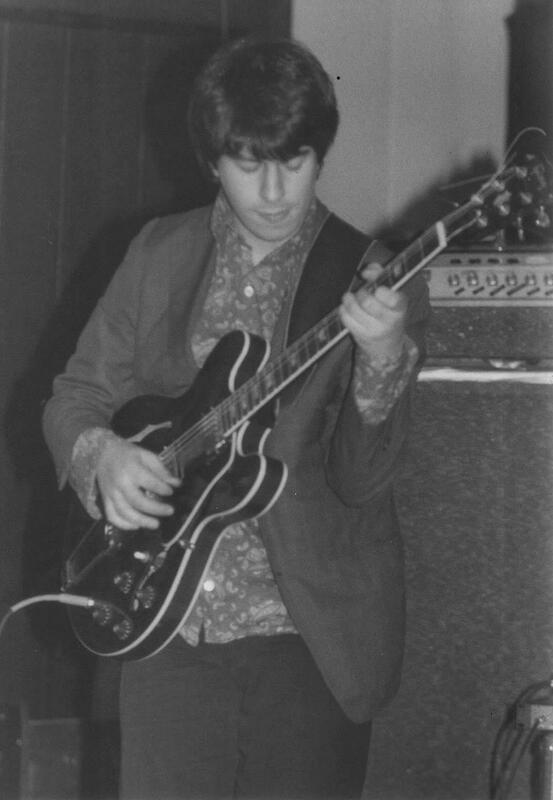 The original lineup included cellist Jane Scarpantoni, bassist Dave Dreiwitz, and drummer John Mastro (brother of the Bongos' Jim Mastro.) The group enjoyed a remarkable decade-plus career, releasing seven albums and touring the country with artists like Michelle Shocked, 10,000 Maniacs, Henry Rollins, Poi Dog Pondering, the Feelies, and many others. The band's unique mixture of orchestral pop and psychedelic improvisation - often expanding its lineup to include trumpet, saxophone, tabla, and bass clarinet - inspired Rolling Stone to dub the group "Sly & The Family Partridge." 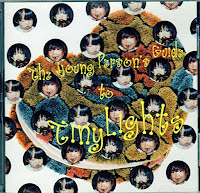 Bar/None released the career-spanning compilation The Young Person's Guide To Tiny Lights in 1995, and the group's final album, The Smaller The Grape, The Sweeter The Wine, in 1997. Dave Dreiwitz and Jane Scarpantoni went on to enjoy long careers, Dreiwitz as a member of Ween and Scarpantoni as accompanist for Lou Reed, R.E.M., Bob Mould, 10,000 Maniacs, the Indigo Girls, and Bruce Springsteen. Hamilton and Croughn married and are now raising a family in Cambridge, Massachusetts, where John is a professor at Harvard University. 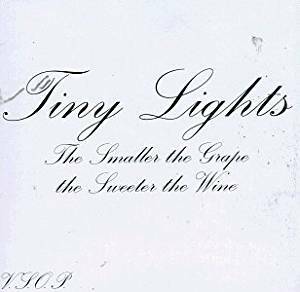 Dave Dreiwitz: When Tiny Lights began, our goal was to make and perform beautiful music together. We worked very hard touring and recording. 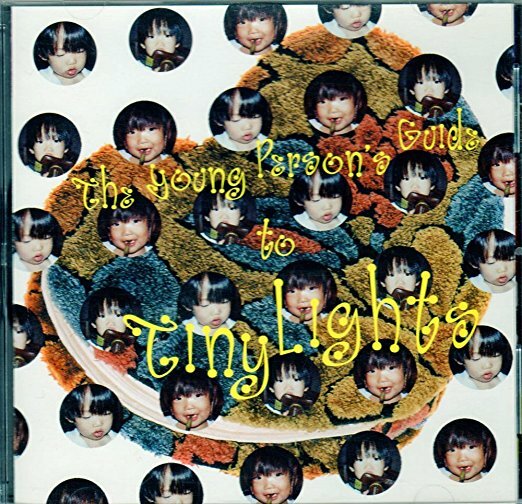 We had our own sound and that was what was most important to us.The very first Tiny Lights concert was in 1983 opening for The Bongos at the Showplace. I was a senior in high school. Somehow we always managed to get on some really cool bills. We played with so many different bands including John Cale, 10,000 Maniacs, Lenny Kaye, The Hoodoo Gurus, Lucinda Williams, Jim Carroll and The Feelies. When we started touring nationally we opened for Henry Rollins, Mojo Nixon and Michelle Shocked all on the same tour! In the early 90's, I remember one great bill at the original Knitting Factory with Kramer, David Peel (with the Pope of Pot!) and Luscious Jackson. The New Yorker proclaimed the Feelies "one of America's most beloved alternative rock bands," Rolling Stone listed their groundbreaking debut Crazy Rhythms as one the 50 best albums of the Eighties, and a small army of jangling, pastoral, and frenetic indie-rockers have claimed them as an influence over the last three decades. Mostly, though, the Feelies remain an American original. 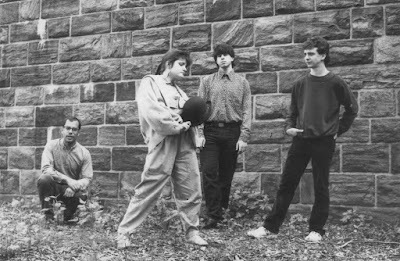 "From their Passaic County fastness, the Feelies imbued nerdy suburban goofiness with spare downtown cool, rocking out all the while," wrote Robert Christgau. But perhaps percussionist Dave Weckerman said it best, speaking to Jersey Beat fanzine back in 1986: "Being in the Feelies is like living in a pyramid. Nothing ever changes and no one ever grows older." 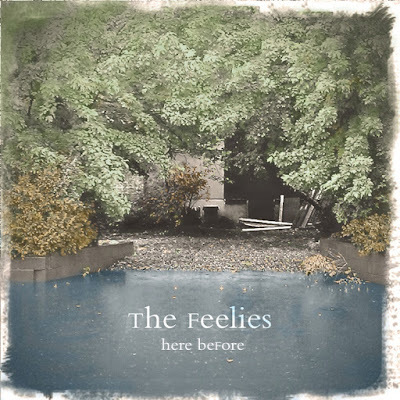 Bar/None released Here Before in 2011, ushering the Feelies into the 21st Century following a 20-year hiatus. The label has also reissued the Feelies' four classic previous albums - Crazy Rhythms, 1986's The Good Earth, 1988's Only Life, and 1991's Time For A Witness, which are available here. 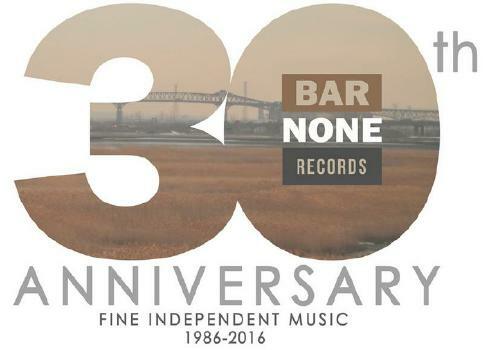 On February 24, 2017, Bar/None will release the Feelies' sixth album, In Between, and the band recently gave fans a first taste from that album with the song "Been Replaced." We asked Stan Demeski - the Feelies' drummer since 1986's The Good Earth - how new songs come together these days, with the band spread out over five cities in three states. Stan Demeski: Since we started playing again in 2008 we’ve had enough shows where we would have to get together several times a year to prepare for them. So we do see each other more than you might think. Both members who don’t live in the area anymore still have family here as well so there’s reasons other than the band to come back. If someone has a new song and feels like playing it at rehearsal or sound check, we give it a shot. But usually demos are sent out before we play a new song. For myself, I work on them at home and try to learn the song forms. If Glenn has a drum part on his demos, I try to play what he has. I might change it to fit my style a bit or to how I think it could be more effective. That’s mostly changing the bass drum part to fit with the rhythm guitar part. Bill will record guitar only demos at home, put them on CD and send them to the other band members. Glenn does a similar thing but his demos tend to have more to them since he writes the lyrics and most of the melody lines. Some of his demos are almost complete songs. We did some demos for this new LP with just the three of us recording. I think Glenn put bass on those tracks to fill them out and get a better idea of the arrangements. Q: Looking at the entire timeline of the Feelies, the past few years have turned out to have been some of the group's most prolific. Is the band just in a good place now, or is there a sense of urgency that no one is getting any younger and there may only be time for a few more releases? Q: The Feelies have always been a band that radiated humility, in everything from the band's onstage persona to its interactions with its audience to the very humble interviews we'd read from Glenn and Bill. I'm just wondering if, when you're by yourselves,does the band every start talking about its legacy and where the Feelies fit into the pantheon of American rock? Stan: I don’t, that’s for sure. And it’s their band, I just get to play in it. They can think about those points if they like, but I don’t think they do.